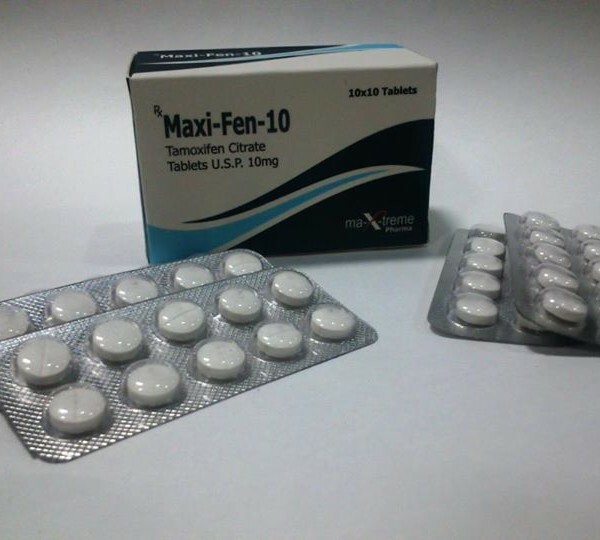 Maxi-Fen-10 Maxtreme belongs to the group of antiestrogenic agents. The action of tamoxifen citrate is based on its ability to block estrogen receptors. Tamoxifen citrate competes with Estradiol for binding sites to the cytoplasmic estrogen receptors in breast tissue, which makes Tamoxifen citrate an effective tool in the fight against gynecomastia. However, Tamoxifen citrate cannot be used on a course with nandrolones and trenbolones. Tamoxifen citrate has a fairly extensive list of side effects, in some of them: blurred vision, nausea, vomiting. The drug is toxic to the liver. Maxi-Fen-10 Maxtreme can be used on the course to prevent gynecomastia, as well as it is used during the PCT (post course therapy). The dosage of tamoxifen is selected individually, according to the results of hormonal analyzes, usually starts from 10 mg.